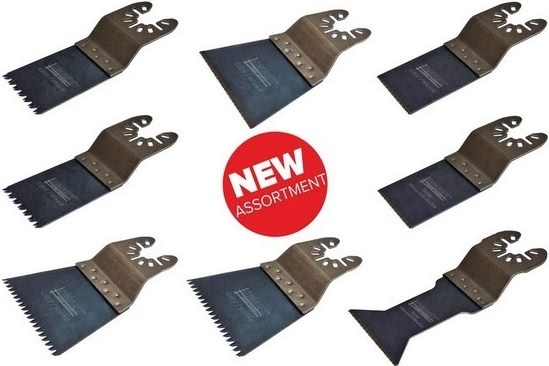 Are you looking for a blade set that gets the job done efficiently, at the same time providing fantastic value for money? Then look no further than the SMART Trade Blade Series. The range is SMART by both name and nature – we detail the top 5 reasons why below. The SMART 8-piece blade set is the UK’s best-selling blade pack; over 1.6 million SMART blades were sold across the UK and Europe in 2017. The majority of these were sold inside a SMART 8-piece set. The reason for this is simple; only the best and most widely used blades are included in the pack. They are manufactured to a high standard, meaning they’ll last longer than most alternatives. Whilst most ‘value’ packs come at a cheaper price or with lots of blades in the pack, this is usually at the expense of quality. Therefore when it comes to getting the job done, you’re left wishing you had a better-quality blade. Where the alternatives fall short of expectations, the SMART 8-piece blade set really stands out above the rest. Hitting the perfect balance of good price and quality of blade, the pack gives the best value to any multi-tool user. The SMART Trade Blade Series has many great value packs designed for specific purposes. These include the 4-piece tiling kit, and 31-piece sanding kit. Whilst these blades and accessories are bundled up into kits to give the greatest value, the Trade Series blades and accessories only includes high quality items ensuring you’re always getting the best deal on quality items. In addition to the Trade Series’ core range of wood, plastic and bi-metal blades there are also blades for more specific requirements worth knowing about. 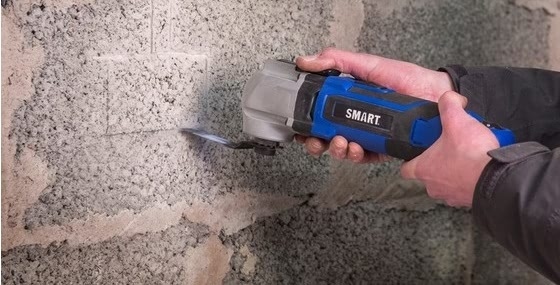 For example, the SMART Trade Series mortar buster and metal buster blades can quickly transform your multi-tool into a powerful cutting machine, capable of taking on seriously hard materials like brick, porous concrete, stainless steel and hardened screws. Awarded ‘Top Product of the Year 2017’ by Professional Builder Magazine, the SMART rapid wood blades represent the type of performance and quality you can expect from the Trade Series. A SMART innovation and an unbeatable blade when it comes to cutting speed and precision through wood and plastic. High performance at an affordable price. SMART Trade Series blades face numerous quality and rigor tests. Consequently, these blades are backed up by a full replacement guarantee against breakage. Furthermore, if your SMART Trade Series blade suffers a breakage outside of the normal wear you would expect from any multi-tool blade, you’ll be entitled to a free replacement from SMART. In conclusion, you are spoiled for choice with the variety of blade sets on offer from SMART. Tailored to specific tasks depending on material, their sets have you covered. So why not come try them for yourself? You can do so by visiting one of our showrooms. Alternatively, order a SMART blade set here before 17.30 for next working day delivery.